For busy weekends, we like squeezing in some quick cleaning of the living space before the start of a new week. An unscheduled shopping trip to the duty free stores in Subic two months ago led us to a cleaning tool that makes life a lot easy - the Swiffer WetJet. 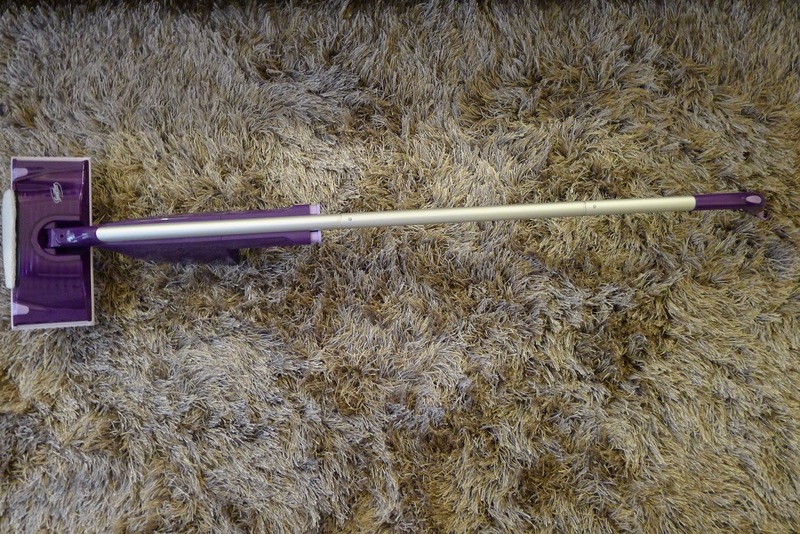 The Swiffer WetJet is a stick mop with a floor cleaning solution attached to the pole and a disposable cleaning pad at the base making it an essential cleaning tool, especially if you do not have the luxury of time. 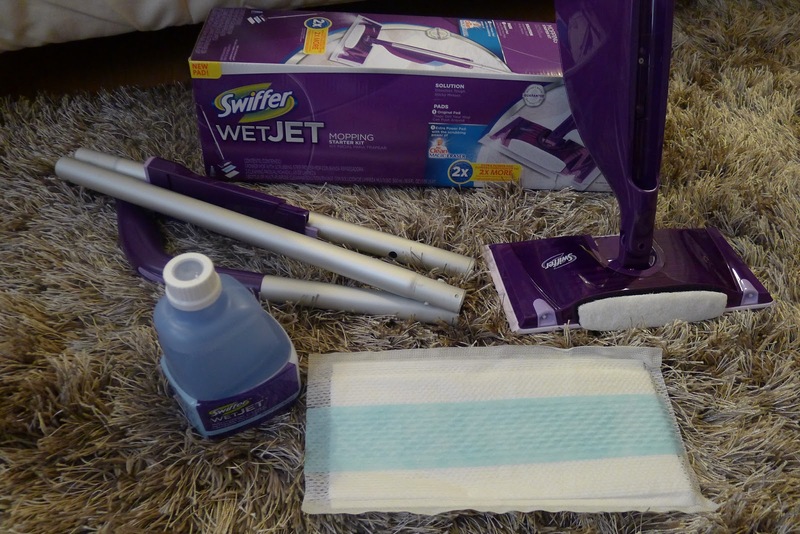 The starter kit comes in a small box that needs a bit of assembly, but what I like about the Swiffer WetJet is that it eliminates the need for a mop and bucket of water and can easily be stowed away when you're done cleaning. 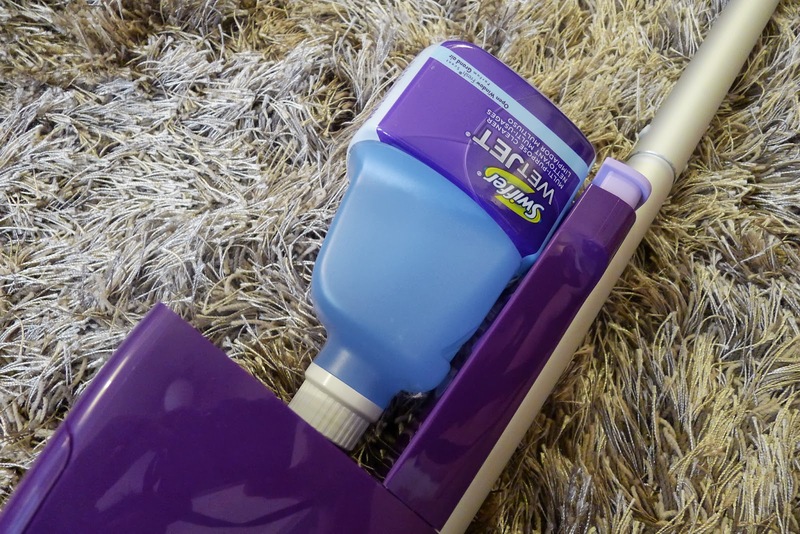 The starter kit contains a pole, a flexible head where the bottle of cleaning solution is attached and two disposable cleaning pads. To assemble, line up the poles and snap together to lock permanently in place. Insert the assembled pole to the base of the device head until it clicks into place. 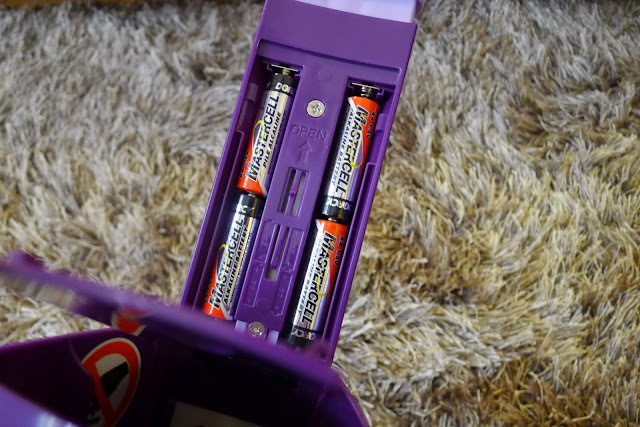 Open the battery compartment and insert four non-rechargeable double AA alkaline batteries (batteries are not included in the starter kit). Attach the pad with the printed side facing the device head. Place the scrubby strip on the black strip on the front of the WetJet head. 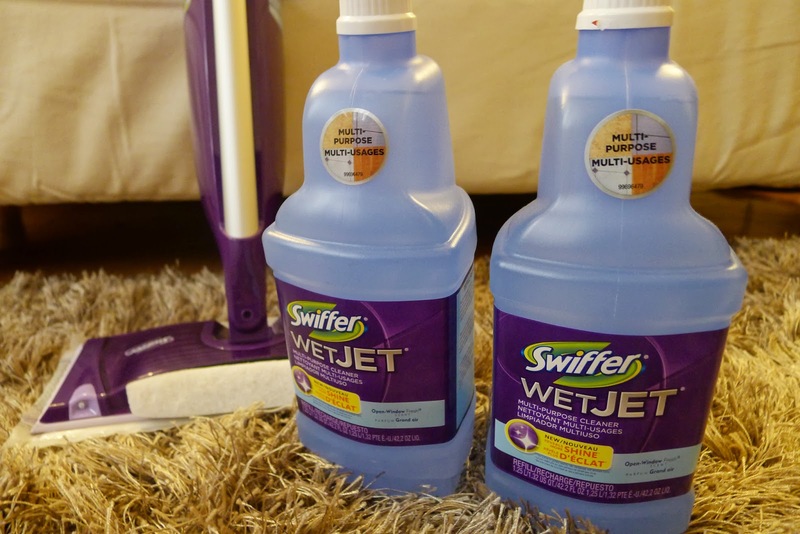 Insert the bottle of the Swiffer WetJet cleaning solution by lining up the flat side of the bottle with the pole. Push the bottle into the device until it is secure. Dispense cleaning solution by pressing the button on the handle released through dual sprayers on the head of the mop (no need to rinse). 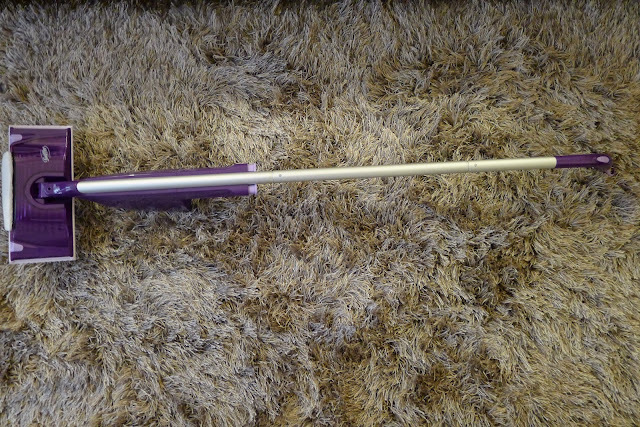 For tougher stains, scrub with the attached Mr. Clean scrubbing strip, then flip the device around to continue mopping. The Swiffer WetJet multi purpose cleaning solution can be used on finished wood and laminate, marble, stone, ceramic tiles, vinyl and linoleum flooring. 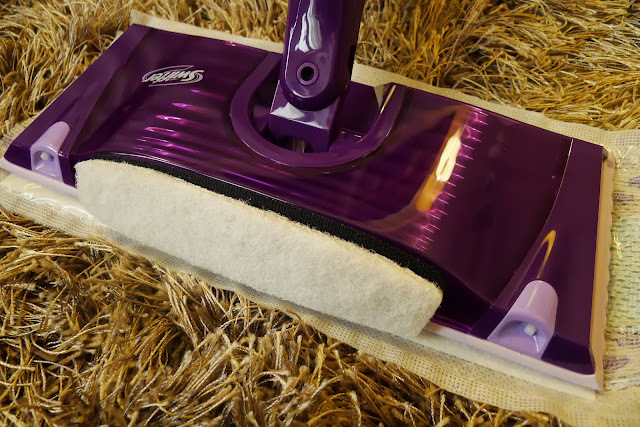 For best results, it is best to vacuum or sweep the floor before using WetJet. You can also buy extra bottles of cleaning solution (in our case, we bought two extra bottles), the refills are available in 1.25 liter bottles and are bigger than the one included in the starter kit. We bought the Swiffer WetJet mopping starter kit in Royal Duty Free, Subic for PHP 1,400. 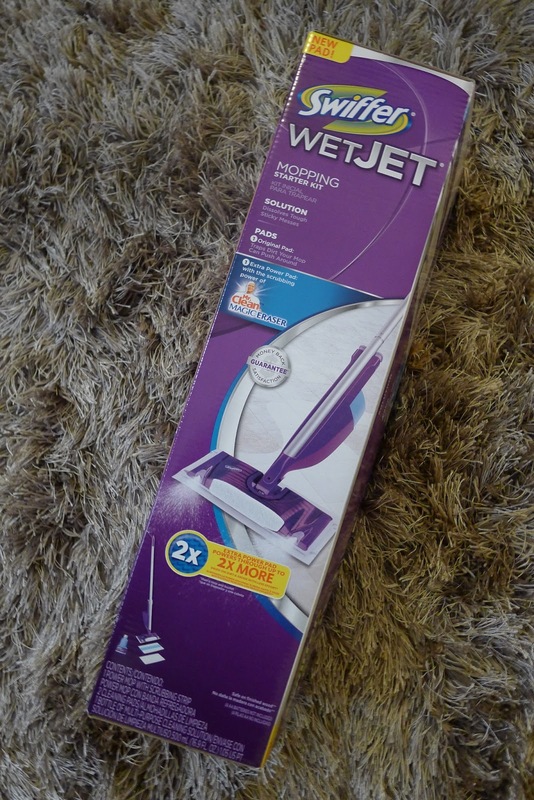 As of this writing, the Swiffer WetJet is also available in True Value stores and sells for PHP 2,000+. We also bought the refill bottles in True Value, Rockwell during the sale season for for PHP 250.00 per bottle (regularly it sells for PHP 350.00). 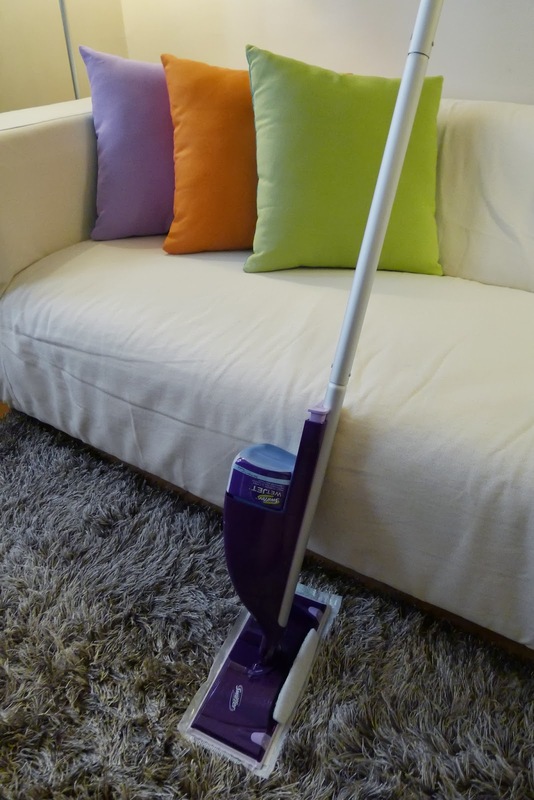 For quick and easy home cleaning, this is definitely a good tool to get.